Little Tembo, a baby elephant, is thirsty and her herd cannot find any water. But Bibi, the matriarch, "remembers the way to wet." As Bibi leads them across the parched savannah, Tembo happily follows, every now and then getting distracted by her own memories of games she loves to play. With touching family moments interspersed between Tembo's playful actions, this tribute to grandmothers will make a perfect read-aloud. The author's creativity and love of storytelling shines through once again as we explore another tale of family love and connections thanks to our animal friends. This time around, it's a herd of elephants and a precocious little baby named Tembo. 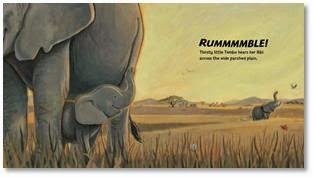 Like all kiddos, Tembo thinks nothing of running off with a daydream even though the family is on a quest for water. Time and again she strays from the pack only to find herself lost or disoriented and needing assistance. She calls, she's answered, and their journey resumes once again. 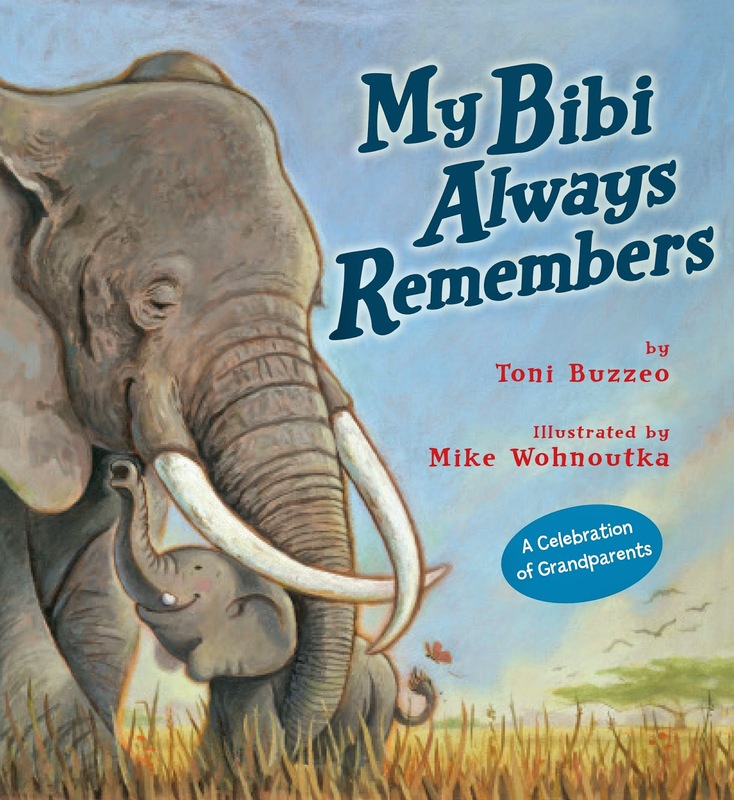 After what seems like forever, Tembo worries they'll never find the water they seek....but the family knows to trust Bibi, the grandmother of the group if you will, and very soon her wisdom is shown once again. Tembo learns the value of his elders beyond the comfort and care they give, while creating new memories to pass along to the next generation. While I admit to having a hard time with the flow of the story as the text didn't work as lyrically as I'd expected, overall the emotions behind the words were clear. Family is there for family and each generation is valuable. There is nothing they wouldn't do for each other, no distance they wouldn't travel, nor excursion undertake. We share wisdom through the ages and grow from the experiences we have. I can easily see this being a grandparent-and-me read but it would work just as well in a group setting where the sounds and steps could be acted out more dramatically. When one takes the story and combines it with the illustratations though, that's where the full effect is truly felt. You can see Tembo's enthusiasm for life. You can feel how the herd cares for each other through each page of their journey. The color pallette used reflects the African landscape well with all the earthy tones while still allowing us to glimpse a rainbow of colors through the night sky with a setting sun or under the shade of a tree with little Tembo. All in all, the marry together to form a bookish union worth your attention. 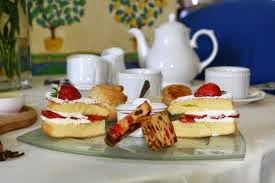 Now, this being a blog tour, I had the chance to select what type of post I was going to host. Of course, I HAD to do a review, but I also opted to play "let's-get-to-know" with the author AND illustrator. That's right! Both parties were given the chance to share with me their FAVORITE MEMORY of their grandparents and I must say, I was touched that they both wished to paticipate, Without further adieu....let's see what they had to say! I was an amazingly lucky little girl! For the first two years of my life, my parents and I lived with my maternal grandparents. Then, for the next four years, we lived only five miles apart. Because my parents were young (20 and 21), they were happy for me to have grandparents at hand to care for me, so I spent loads of time with Grandma Mae and Grandpa Don in their red brick house on Rosalie Street in Dearborn, Michigan. My sweetest memories are of walking and reading with Grandma Mae. The two of us went for long walks around her neighborhood, holding hands and talking for miles about anything I wanted to discuss--often our plans for what we’d do next, pick blackcap raspberries in the yard, harvest the Italian plums outside the bedroom window, roll out sugar cookie dough. Decades later, I remember the feel of my hand in hers, cool wind ruffling my hair, and the joy of walking with an adult who gave me one hundred percent of her attention and unconditional love. Every time we approached a barrier that required walking single-file or letting go of hands, we made sure to say, “Bread and Butter” as we dropped and then resumed linking hands. Such small rituals are what safety and security are made of for little children. And it’s a testament to the strength of that particular ritual that I remember it so clearly more than half a century later! After a walk, or on any whim, we’d cuddle up with a book. 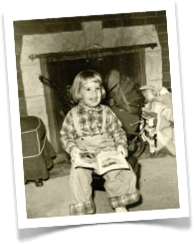 Both my mother and my grandmother were inveterate readers who took me to the library from the time I was very small. Not only did Grandma Mae model the joys of being a reader herself, but she read to me often. 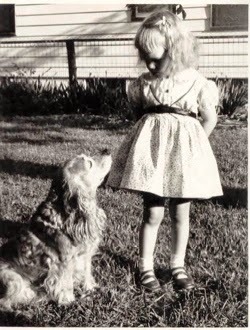 I’m not sure why The Poky Little Puppy is a book I especially remember sharing with her (perhaps because I didn’t have a dog at home, though Ginger was always nearby at Grandma’s house), but it was one among many that we read and discussed together. 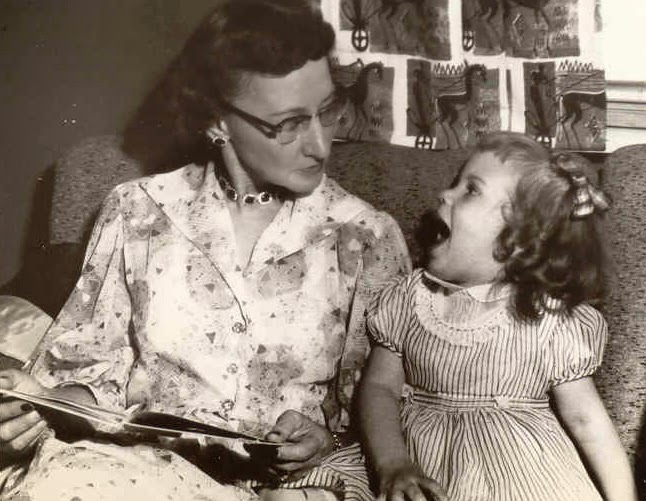 I especially love this photograph because it captures the joy of our shared reading and tells me that Grandma Mae knew that sharing a book is more than reading aloud. Talking about what is happening in the story and why is the key to children connecting with the characters and the theme! 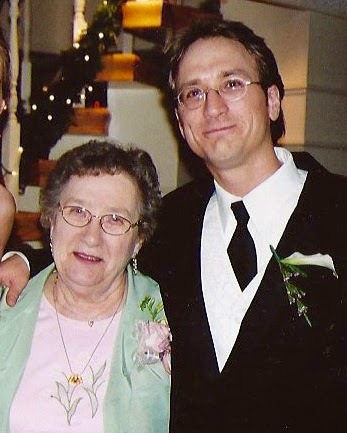 I have brought all of the love and good feelings I experienced in my early relationship with Grandma Mae to my latest book, My Bibi Always Remembers. Bibi (Swahili for grandmother) is just the sort of grandmother my grandma was. She’s also the kind of Nonna I am trying to be to my own little grandbaby, Camden James—wise, responsive, and with a love as wide as the starry sky. Toni Buzzeo is a new grandmother as well as children's book author, reviewer, and retired school library media specialist. Her most recent books include Just Like My Papa, and Stay Close to Mama, and she won a Caldecott Honor for the New York Times best-selling picture book One Cool Friend. She divides her time between a colonial farmhouse in Buxton, Maine, and a home near the ocean in Sarasota, Florida. I feel very fortunate to have had so much time with two sets of grandparents growing up. Every Sunday after church our family would drive 45 minutes to Olivia, Minnesota to visit my grandparents. My dad’s parents and my mom’s parents lived only three blocks from each other. My Grandma Wohnoutka was a wonderful cook and the house always smelled like fresh baked kolache (a Czech pastry). She would always have food in front of you. We would spend the day playing cards, usually a game called 31. My grandma was quietly competitive and did not like to lose. If my cousins were there the kids would be outside playing football. 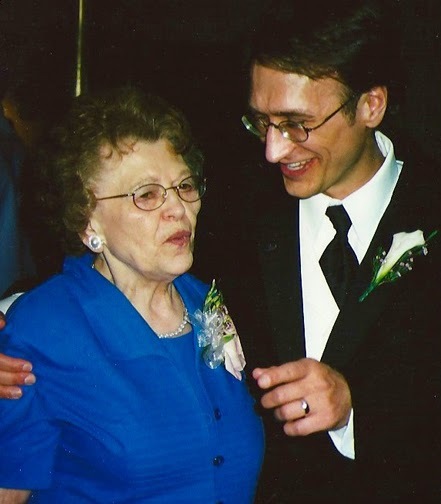 I remember Grandma Wohnoutka as humble, quiet, and caring. My Grandma Malecek’s house did not smell as good and eating was not the reason to go there. Her house would be filled with smoke from my uncles, who would complain and spit chewing tobacco, but also were really fun. This was the creative side of my family. My uncles would show us magic tricks and teach us jokes. No one here had the patience to play a card game with kids, but the house was always filled with energy. I remember my Grandma Malecek as kind, creative and resourceful. “My Bibi Always Remembers” is dedicated to my Grandma Wohnoutka and Grandma Malecek. 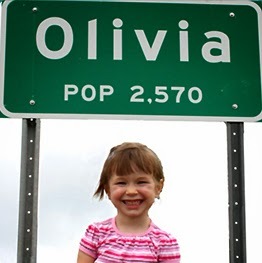 My daughter, Olivia, is named after the town my grandparents lived in. Mike Wohnoutka grew up in Spicer, Minnesota and graduated from the Savannah College of Art and Design with a B.F.A. in illustration. He has published books with Random House, Dutton, Clarion, and Holiday House. He lives in Minneapolis with his wife and two children. Special thanks to Cassie at Disney Publishing Worldwide for the review copy as well as the chance to bring this tour to you and to both the author and illustrator for taking the time to answer the posed question so deepty.. (THANKS!) For more information on this title as well as their growing catalog, be sure to stop by their official site. This title is set for release TOMORROW, so be on the look out for it on a bookstore shelf or virtual retailer of your choosing. Now don't forget, this IS a blog tour so be sure to check in at the other stops along the way...such as yesterday's stop at Book Rock Betty and tomorrow's at As They Grow Up. How lovely. I'm not sure I'd be the reader I am today if it weren't for my nana. Grandparents are the best! I have so many sweet memories with mine.